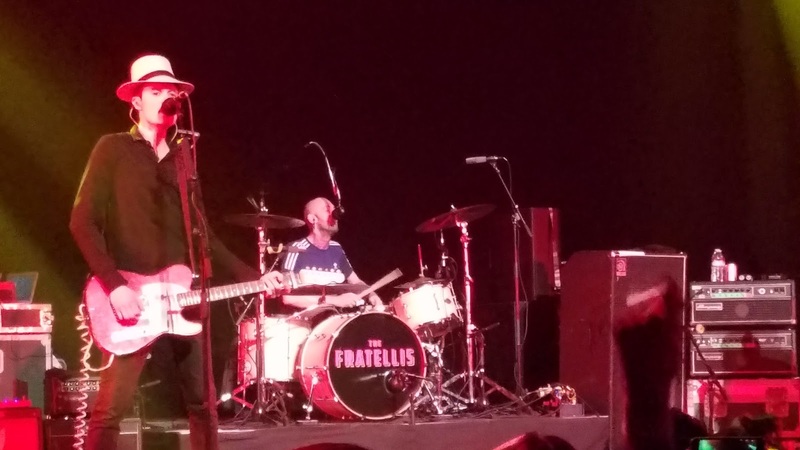 For my first show at Los Angeles’ Belasco Theater, I felt seeing The Fratellis would be a good choice. Knowing the high energy sound of the band, I assumed the group would be showmen worthy of the fancy theater stage. And visually, the theater was quite nice: note quite the El Rey, but possibly on par with the Henry Fonda Theater. What took me aback was a lightly rank smell, like a mild stench of body odor seeped into the carpets. I did my best to ignore this facet of the theater as the opening band Blood Red Shoes came on. 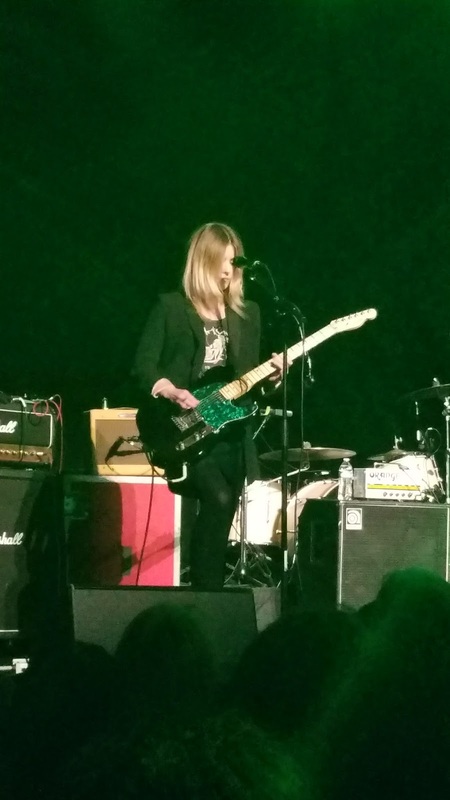 This London two piece at first made me think of a reversed White Stripes, with the quieter, moody Meg-type (Laura-Mary Carter) on guitar, while the more gregarious an explosive Jack-type (Steven Ansell) pounded the drums like a human version of the Muppet’s Animal. 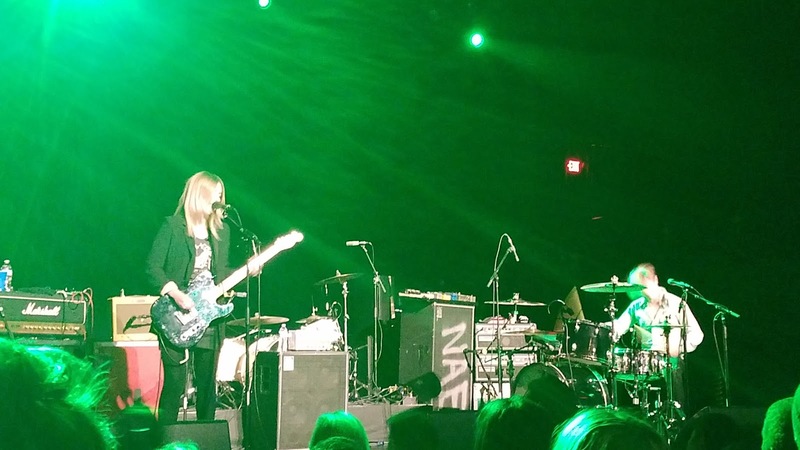 While this dynamic didn’t evolve much through the set (it was only on a rare occasion that Carter showed a smile), they did prove their ability to rustle up a lot of hard-rocking noise, winning the audience over with sheer head-banging bad-assery. While only a few of their songs were memorably tuneful (“An Animal” and new single “God Complex” fought through the noise to reveal a superior hook), the duo proved they knew how to put on a performance. Maybe it was nerves, or uneasiness with playing their new material live, but whatever the reason, The Fratellis were stiff during the beginning of their set. Audibly, their songs sounded great (new tune “Starcrossed Lovers” and “Imposters (Little by Little)” were a couple highlights), but for a group who imbue so much soul and rollicking fun into their music, there was a distinct lack of attitude from the Scottish group. Lead singer Jon Fratelli appeared fragile and unsure if America was ready to welcome the band back. It’s hard to pinpoint the moment the group began to loosen up. Maybe it was seeing the crowd sing along to “Whistle for the Choir”, or the positive response to new tunes like “I’ve Been Blind” or “Laughing Gas” (both excellent tracks on their new album In Your Own Sweet Time), but once they got to their old iTunes commercial track “Flathead”, the band began to find their swagger. Bassist Barry Fratelli became a crowd hypeman and Jon incorporated some Jagger-like moves into his playing, letting himself enjoy playing “Too Much Wine” and rocker “A Heady Tale”. 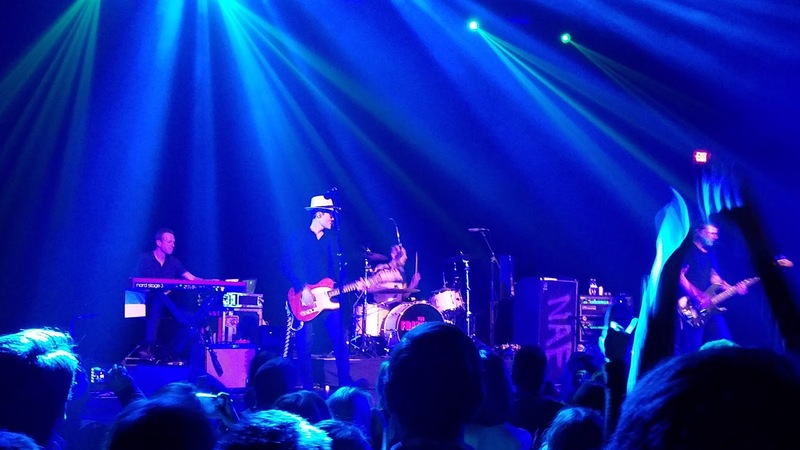 When they returned for the encore, The Fratellis were in fine form, bringing out the expansive soundscape of “I Am That”, before switching gears to a gospel rave-up with “We Need Medicine”, and back to pogoing rock and roll with crowd-favorite “Chelsea Dagger”. One would think that would have been enough for the night, but they then through in a Dion cover of “Runaround Sue”. I had hoped for “Seven Nights Seven Days” or “Mistress Mabel”, but it was not meant to be that night. Hopefully when I next get to see them, they don’t take their own sweet time to find their confidence and spirit – they are a solid rock and roll group and have the devoted fans to prove it.